Family Golf Week, highlighted by the 21st annual Father-Son Team Classic, delivered another memorable week in Myrtle Beach, S.C., as 700 players from 42 states, Ireland, England and Canada participated in the event. Family Golf Week featured two tournaments, the ever-popular Father-Son Team Classic and the new Parent-Child Team Classic, which introduced mothers, daughters and grandparents to the festivities. The 2-person team events were played on seven of Myrtle Beach’s most popular courses, and a different format of play was used each day. The host golf courses for Family Golf Week included Rivers Edge and the Love Course at Barefoot Resort, layouts that have been ranked among America’s top 100 public courses. Also hosting were Crow Creek, home of Myrtle Beach’s newest bentgrass greens, Arcadian Shores, Heathland at Legends Resort, Wild Wing Avocet and Wachesaw Plantation East. Entry fee was $995 per team and included golf, daily lunch, and pre- and post-event functions. 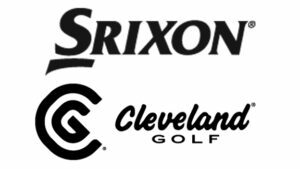 The gift bag included an Ahead logo’d shirt, Ahead logo’d hat, a dozen Srixon balls, Signs by the Sea Custom bag tag, 1 pair of 2UNDR athletic briefs and a $150 gift card per participant to be used for golf fees (practice rounds), food & beverage, merchandise and Logan’s Roadhouse.